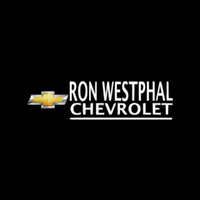 Ron Westphal Chevrolet is the largest family owned car dealership in Aurora, IL. We have a huge stock of new and pre-owned Chevrolet Cars, Sedans, SUVs and Crossovers. Our sales professionals are designated to find a perfect vehicle that will suit your lifestyle. You can find your desired Chevrolet trims online by searching in our inventories. If you are looking for auto financing, Ron Westphal Chevrolet has the largest number of customers in Aurora, IL and its surroundings who have taken car loans or lease from us. Our financial experts will provide you a car financing solution in accordance with your credit history and purchasing power. You can get yourself pre-approved for a car loan on competitive rates and easy terms. The projected values of rental payments of your auto loans can also be estimated through our online payment calculator. Ron Westphal Chevy is not only a car selling dealership but we also offer reliable maintenance and repairs services. At Ron Westphal Chevrolet service center in Aurora, IL, we have a service staff that knows every inch of your Chevrolet. Leave the maintenance or even major repairs of your vehicles in the hands of manufacturer certified mechanics at our service center. We guarantee that you will be back on the roads of Aurora, IL safely and very quickly. At Ron Westphal Chevy of Aurora, IL you will also find new Chevy specials, service and parts specials, day to day promotions, monthly specials and service coupons that can be utilized later on. You are not sure that the vehicle you have your eyes on is the best Chevy car for you or not? If this is the case then you simply have to book your test drive online or simply talk to our customer care representatives. They will schedule your test drive as per your convenience. Test drive to feel the essence of exciting ride to prepare your mind to get hands on your new vehicle. We believe that your experience of purchasing a new or pre-owned Chevrolet or getting your maintenance work done at Ron Westphal Chevy, Aurora, IL shall be memorable and pleasant. So what are you waiting for? Pay us a visit or call our customer service representative and find out the best deals at Ron Westphal Chevy, Aurora, IL.